Why your next appointment this spring should be for sugaring and lashes! Spring is here and before you know, the HOT, lazy days of summer will be here. Before that happens, get on my schedule for your sugaring and lashes. Spring is the perfect time to focus on hair removal and minimizing your need for makeup in the summer months. Let’s talk about hair removal. No one wants to be bothered with shaving. Especially during the hot summer months, when you just want to throw on a pair of shorts and a tank top and go! Many times, after sugaring your hair will grow back thinner and finer. So, if we start now, by summer you could have less hair to deal with. On top of that, sugaring results last longer than waxing or shaving, so it’s really a win, win. 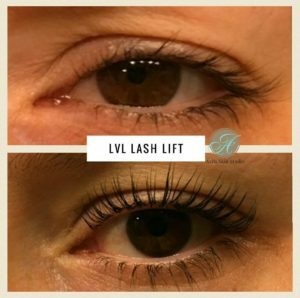 Lash lifts are a GREAT service just to get before summer. Lash lifts will give you amazing lashes WITHOUT using mascara. This is perfect for summer because you’ll be able to use less makeup and spend less time getting ready each day! At Avila Skin Studio, our Lash Lift service enhances your natural lashes by lifting them at the root to increase volume and length. I don’t add extensions or use any adhesive for this process. Instead I use a keratin based treatment that gives you a similar look to wearing mascara, but without it! Not sure if Lash Lifts are right for you? Learn more about the process, pricing and what you should do before coming in for your appointment. So, now that you know why your next appointment should be for sugaring and lash lifts, let’s get you on the schedule! You can book online by clicking here or call the studio at (469) 283-8185 and we’ll get you booked! Can’t get in right away for your lift? Start now, prior to coming in for an appointment with our growth serum for just $65. It will give you the maximum lift results!